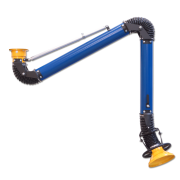 Oskar 100 self-supporting fume extraction arm is designed for source air pollution capture at many medium size applications such as painting, grinding, polishing, welding or mechanical processing. Oskar 100 is free from any internal mechanisms – there is nothing inside but the air flow damper. All Oskar 100 arm adjustments are accessible on the outside which allows any adjustments to be done without touching the polluted air stream or without stopping the air flow operation. 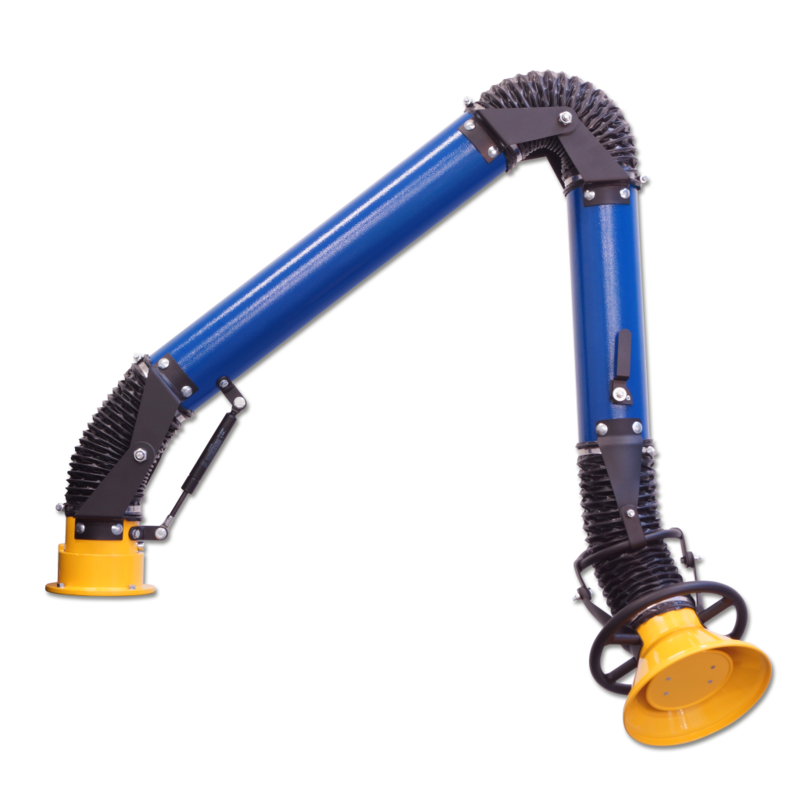 Smooth tube and nothing in the duct means lowest pressure drop and noise level as well as easy maintenance and long operational life time.